Made from S2 steel. Soft grip handle with swivel cap. Extendable bit holder. 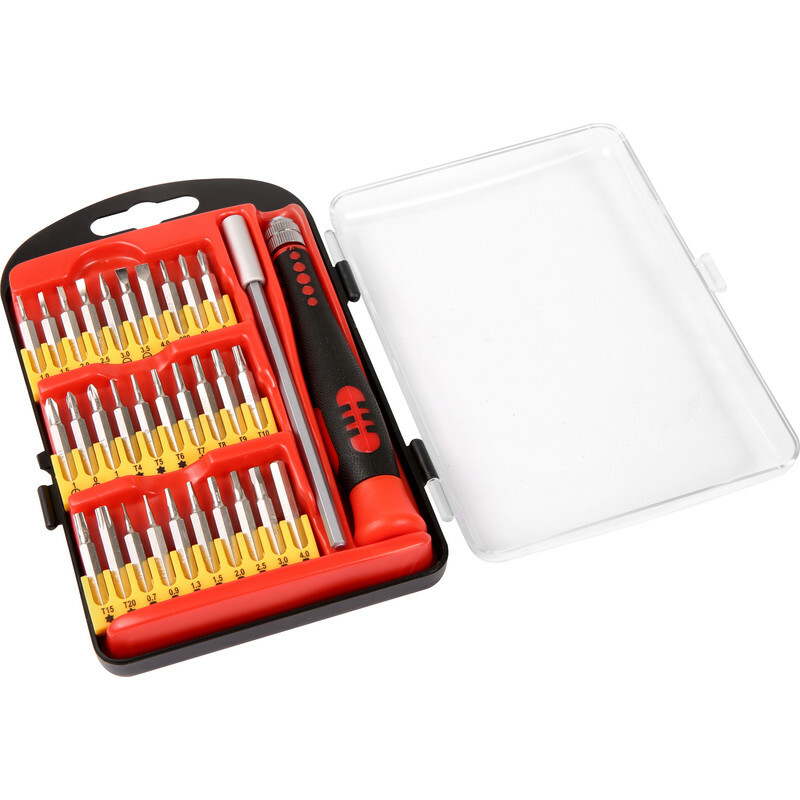 Precision Screwdriver Set (32 Piece) is rated 5.0 out of 5 by 1.